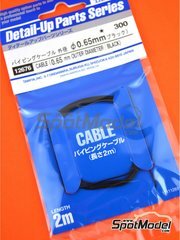 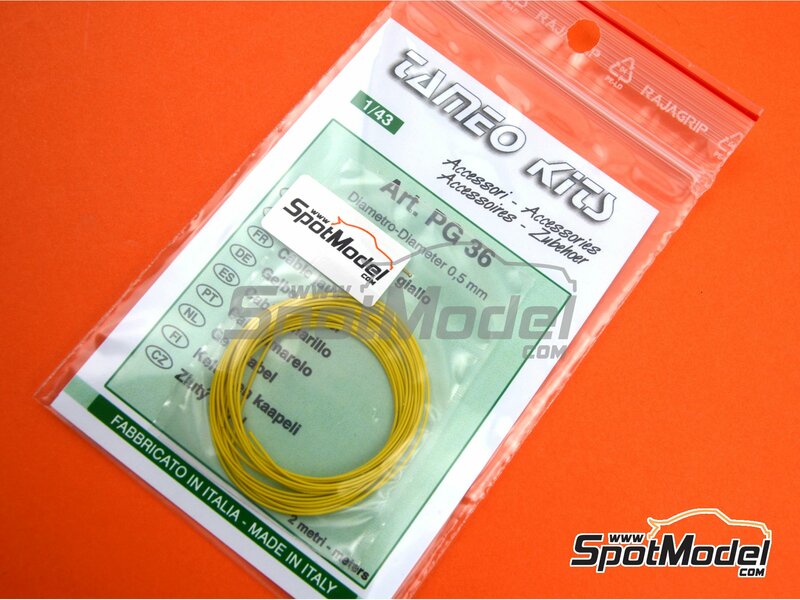 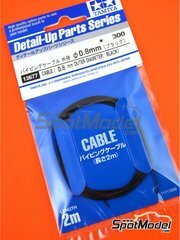 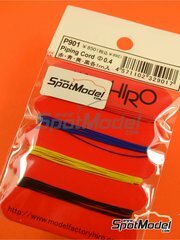 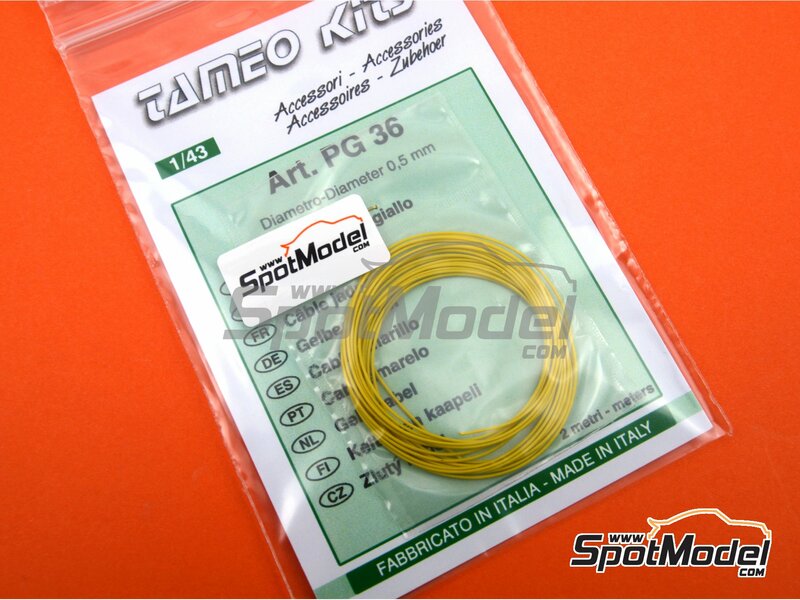 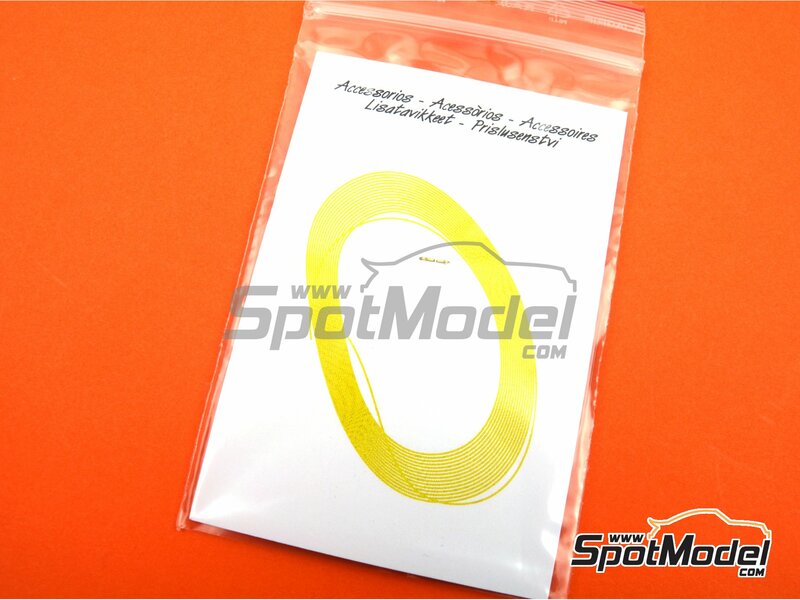 Yellow wire with a diameter of 0.5mm that will allow you to detail your mounts on all scales. 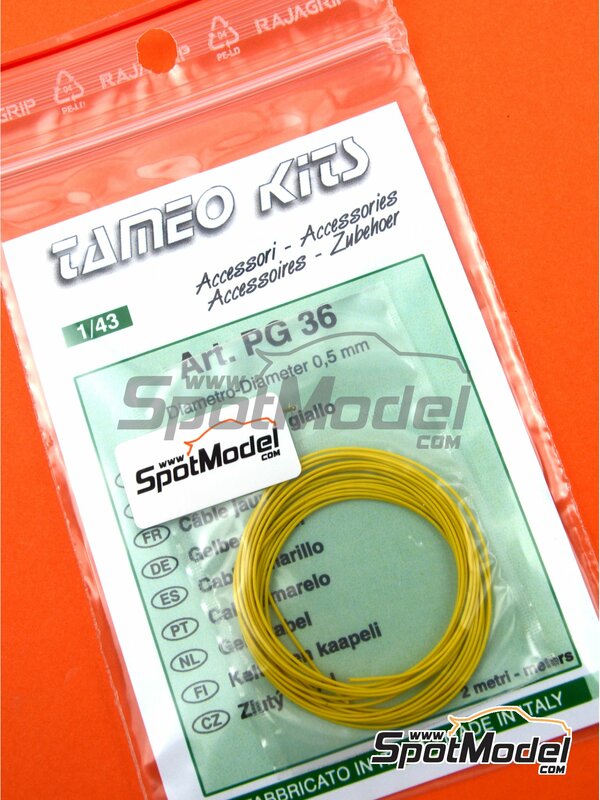 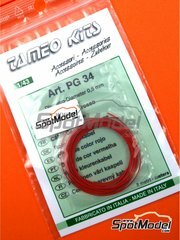 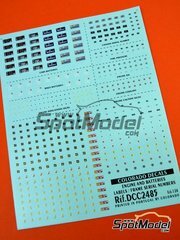 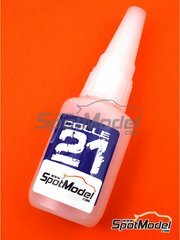 Manufactured by Tameo Kits in 1/43 scale (also valid for 1/6, 1/12, 1/16, 1/20 and 1/24) with reference PG36. 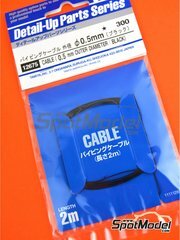 Package measures 82 mm x 120 mm x 3 mm (width x depth x height), weighting 6 g.